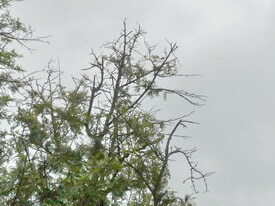 Crown dieback refers to the dying of tree branches from the tips towards the trunk, which is usually caused by root damage. When you see something similar happening to the tree, you should pay attention to its roots. To sum up, I think there are four possibilities: 1. The tree itself has been under pressure for a long time. 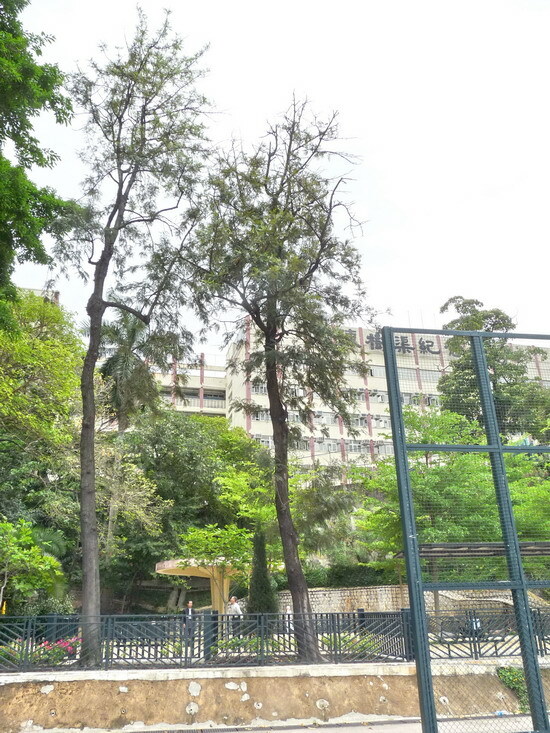 When a construction project nearby is launched, the tree may become over-sensitive. 2. The tree is blown lopsided by strong wing. Roots are out of place and broken. 3. When the tree is being transplanted, the digging of earth may damage the root ball. 4. 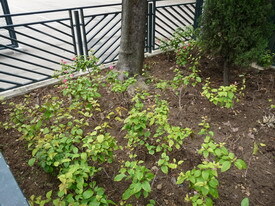 The tree is underplanted with shrubs or seasonal flowers which forcibly damage the tree roots. It is Silk Oak (Grevillea robusta) in the picture which is grown in parks. This is an easy-to-grow species. Its flowers provide nectar and are of high ecological value. Absorbing roots are usually within 10 inches in the topsoil and are vulnerable. It comes to my attention that greening programs in recent years make use of every inch of space available to grow plants. Thus, the space around tree foot is always occupied. The practice of “destruction before construction” should be discouraged.